If you're in search of the most professional, knowledgeable, friendly, and reasonably priced Arlington limo service...you've located them! Ever since 1989, Majestic Limo Service has furnished deluxe limo service around the Arlington VA region for government, corporate and business, as well as private customers. Our company offers limousine service including scenic city tours, wedding limo rental service, proms, unique birthday celebrations, bachelorette/bachelor party limos, concerts, games, wine tours, along with corporate limousine shuttle service, and limo rental services for long distance travels. Take a look at our wide selection of vehicles and make a choice! We are completely licensed and insured by both the state of Virginia and the federal government (DOT). Each of our employees is licensed and expertly trained, and they are required to pass criminal background checks/drug testing. Every aspect of Majestic Limousine Service is top notch and professional. We treat every one of our customers like royalty. The law in most states requires that all limousine rental companies have private hire insurance. Also, all the chauffeurs must have chauffeur’s current licenses. Ask to see proof of both. Ask what items and services are NOT included in the basic price. You may not care for the brand of champagne, for example. Find out if the limo comes “iced” which means that you can bring your own bottles. A reputable limo service company will allow you to put whatever’s legal in their coolers. Avoid a limo company that requires more than a 50 percent deposit. Some companies even demand full payment in advance! If you have the time, check out the fleet! 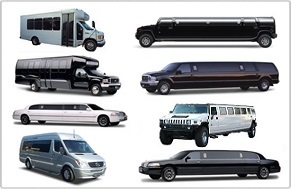 A reputable limo company will be glad to have you stop by to inspect its fleet. Stick your head inside the vehicles and make sure they pass the "smell test." You don't want to be experiencing what's left over from someone else’s good time! Gas and driver gratuity will almost always be extra. BOTTOM LINE? Make sure you understand what's included in the basic price, what options are extra, and what is not available before making your final decision. Receive a Quick Quote for Your Arlington VA Limo Service Now! We own the entire fleet of our limousine service vehicles and service them regularly for optimum performance in our Fairfax Va. facility. Give us a call right now, or complete the REQUEST AN ESTIMATE form for a quick quote.